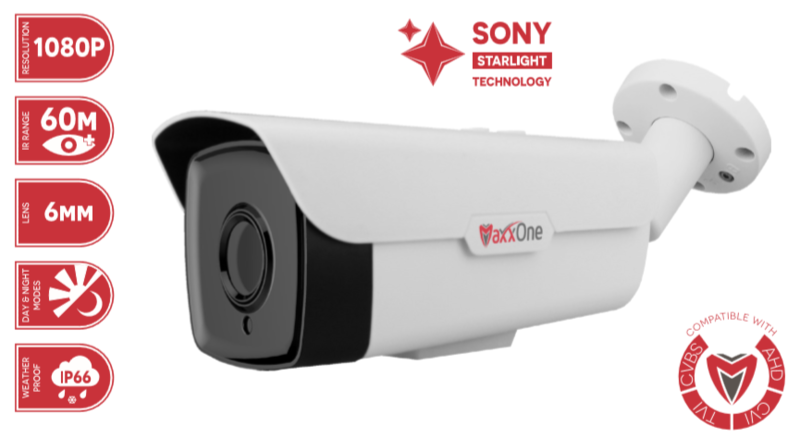 The Starlight 60M IR Camera has a 1080P (2MP) resolution and an IP66 weatherproof. Furthermore, this camera contains a 6mm fixed lens with up to 60m IR range. To conclude the camera has day and night modes, it also can portray full colour in almost complete darkness. The Starlight also has a wide dynamic range with an energy sufficient SMT LEDs.